We have seen so many animals – the ones we hoped we see, the ones we didn’t know we wanted to see, and a lot we had never even heard of! 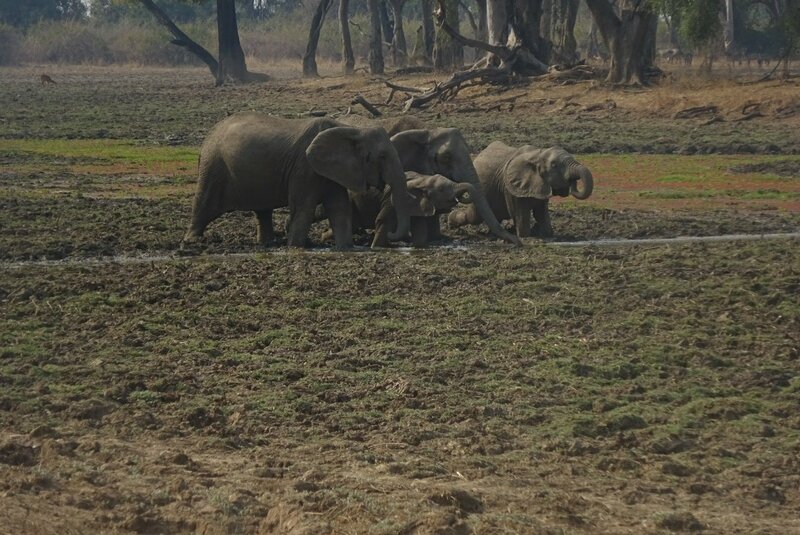 And South Luangwa in eastern Zambia was, as we had hoped, the ideal place for our first ever safari. The Book Bus had finished, all us volunteers went our separate ways, and Book Bus Charlie was setting off, with the 3 Zambian staff, to Kitwe in the north of the country where all the books and resources will be used all year round with children there. John and I set off on our journey of over 1000 Km – and that’s as the crow flies, whereas we were taking buses via Lusaka. But more of that later. We were so obviously complete newbies to the safari thing. 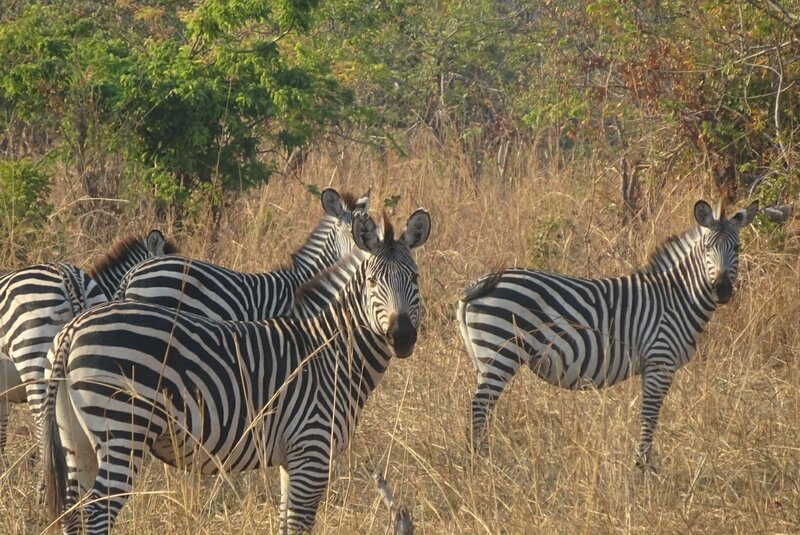 Met off the bus by our safari vehicle, we were driven through the National Park to our bush camp, taking in some wildlife as we went. 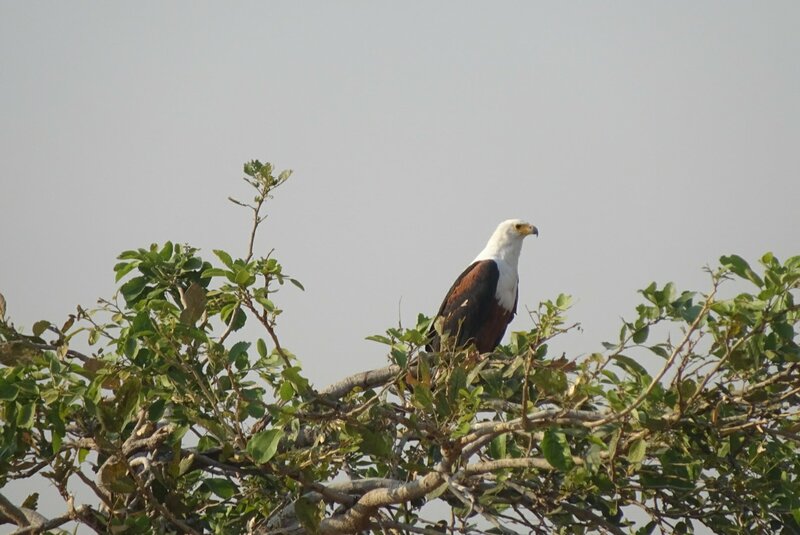 We were so excited, we were almost speechless at our first views of hippos in the river, impala everywhere, a zebra crashing out of the undergrowth as it got dark. 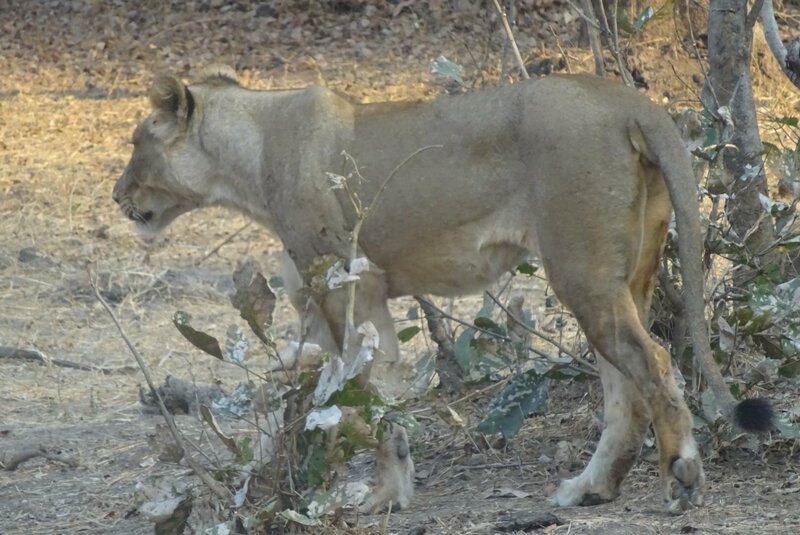 Our driver and guide, Ephraim, was patient with us, but then had word that there were lions to be seen, and after a short detour, there they were, a group of lionesses lazing around their kill. And this was before we even got to our camp! 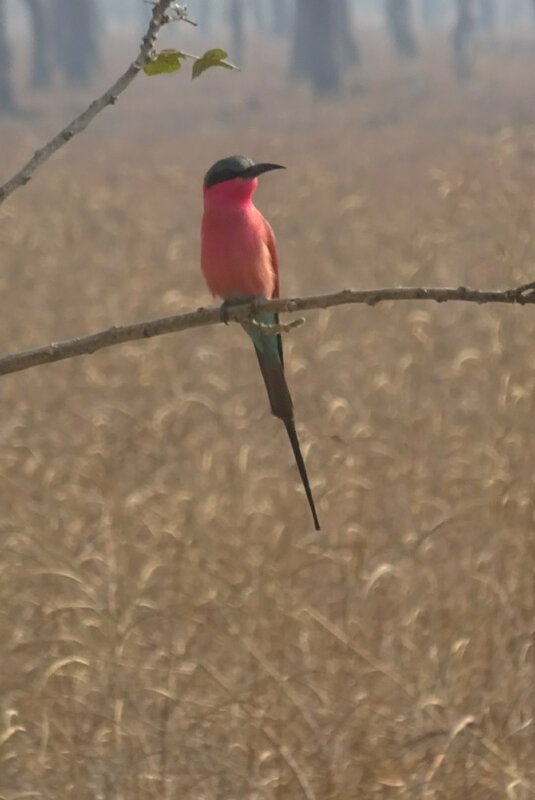 We had several days with Jackalberry Safaris, at the beautiful Nkonzi Bush Camp, and so did various morning drives, walking safaris, night drives, etc. We hadn’t gone with a list of animals to tick off, though we saw about everything that might have been on it, and we realised quite soon that it is often how you see the animals, and what you learn about them that matters most. Seeing a group of hippos, and hearing their loud bellows, we saw how some were in the water, but were keeping the others out on the bank. 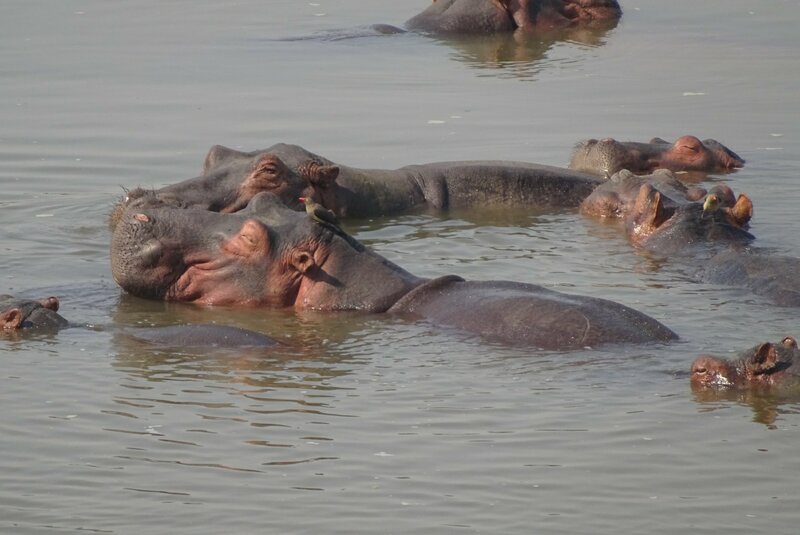 Hippos need to be in water in the hot daytime, to cool down, so the ones on the bank were trying to look submissive so they’d be allowed in. 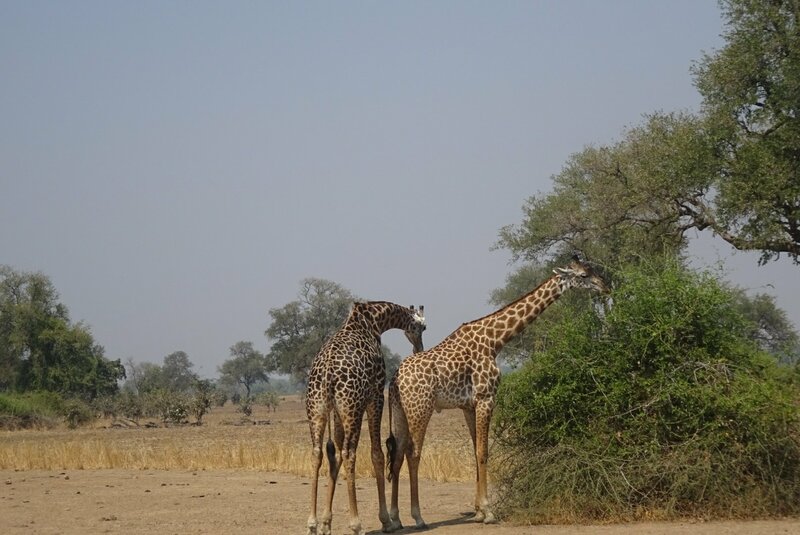 And two male giraffes (you can tell the gender at a distance from their horns) who appeared to making out with each other, were interesting. My suggestion of gay giraffe was treated with the polite disdain it probably deserved. In fact there was a nearby female who was apparently giving off pheronomes to let them know she was available, but one of the males was confused as to where it was coming from, while 2 other younger males lurked in the background just in case they got lucky, and the female just wandered off waiting for them all to get their act together. It was that sort of behaviour with stories being acted out in front of us, that was fascinating – always interpreted for us by Gavin, or one of the other guides, whose knowledge we relied on. We had a superb leopard sighting – leopards climb trees, we learnt, and drag their kill up into the branches. We found a leopard up a sausage fruit tree, ready to hunt, but looking fairly relaxed. It was probably waiting until dark came and it could drop down on top of an unsuspecting impala. In fact, sausage trees (which have fruit that looks like someone has hung a load of sausages on strings from the branches) were dropping their flowers which taste pretty good to impala, so the choice of tree was no accident. 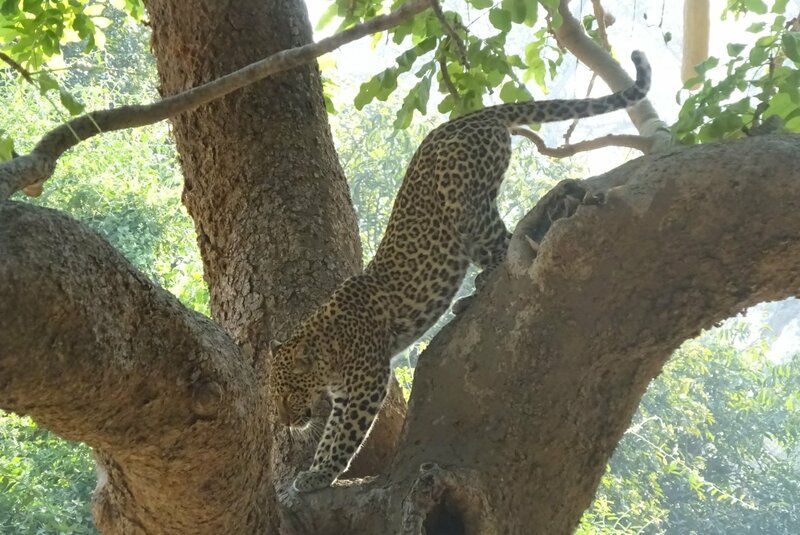 And another day we saw a leopard up a tree – with its kill. 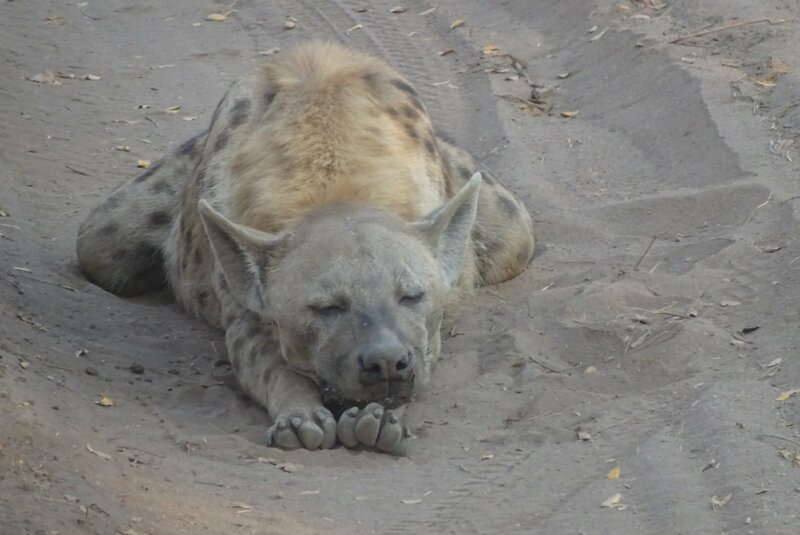 They are lone creatures, so don’t want to risk fights with hyenas and other big creatures over their meat (injury in a fight could well mean starving to death as there are no fellow leopards to help defend). So they drag a dead antelope, almost as big as themselves, up their tree, having possibly lightened it a bit by eating the intestines on the ground first. A highlight was seeing a pride of lions hunting. We found one lion, looking alert,and not in the shade despite the heat of the day. 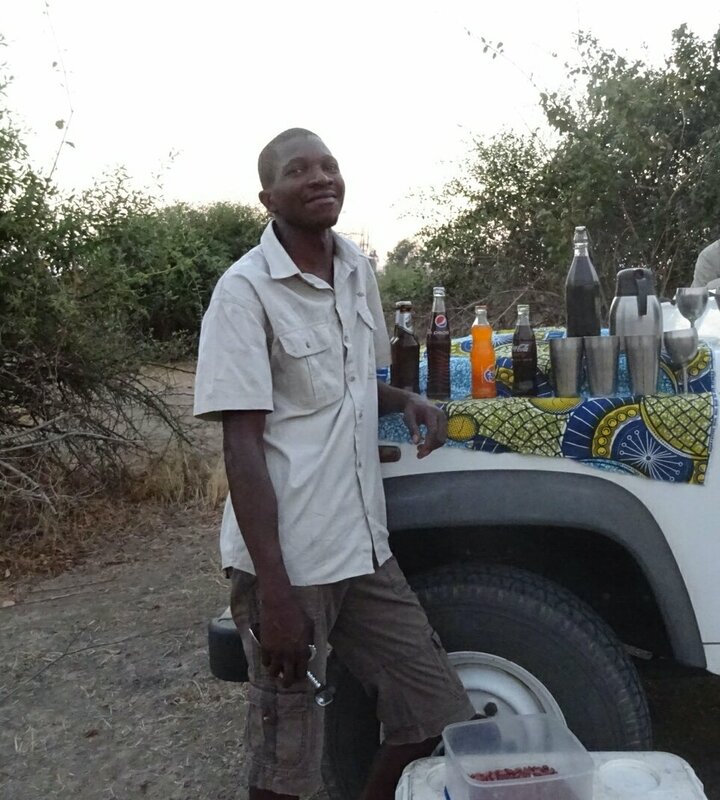 Our guides were excited at the pawprints all around, and we followed them in our safari truck for a while. We ended up watching 3 lionesses, and when the largest one, obviously the leader, decisively moved off, we suddenly found ourselves among a pride of ten who just casually melted out of the trees! They appeared to be hunting buffalo, who were making distress calls, but after driving around a bit, and sitting in our safari vehicle for some time, extremely near to the lions who studiously ignored us, we found ourselves behind two lionesses who almost seemed to be positioned to block our way. No kill – but what an experience to see the stealth and strategy of these big cats. Thank you so much for sending us the link to your blog. It is always fun to recall some of our special sightings and your descrare incredible. We saw the same lions again on Saturday, but they were all just dozing this time. “Descriptions are” incredible. My fingers are too big for this touch screen!